Ortúzar Escudero, M.J., The Role of the spiritus animalis in Accounts of Perception: Medical and Philosophical Remarks from three 13th-century Encyclopedias. Kovács, A., A fragmentary Hungarian translation of Vincent of Beauvais’ Liber de laudibus beate Marie virginis from the 14th century? Draelants, I., La Biblionomia de Richard de Fournival: une bibliothèque d’encyclopédiste? Enquête comparative sur les textes et les manuscrits. Burman, Th. E., Inspicientes — et non inspicientes — eius legem: Thirteenth-Century Dominicans, the Qur'an, and Islam. Draelants, I., Magica vero sub philosophia non continetur: Statut des arts magiques et divinatoires dans les encyclopédies et leurs auctoritates (1225-1260). 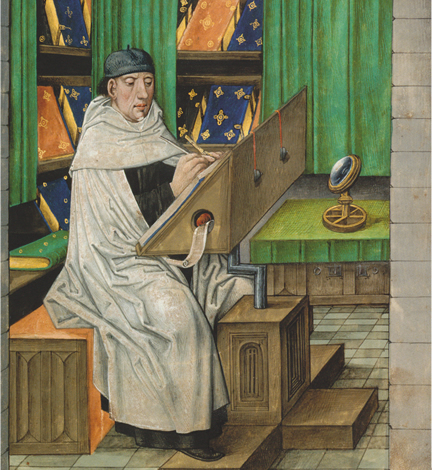 The Dominican friar Vincent of Beauvais († ca. 1264) is the author of an enormous oeuvre. He is most famous for his voluminous encyclopedic work Speculum Maius. He is also the author of a series of political and theological works. This website discloses information on Vincent's life, his works and his influence. Information on the Vincent of Beauvais Newsletter.